Out of all the games out there, few can claim to be as influential as the Tomb Raider series. One of the first to have a female protagonist, it’s also one of the longest-running game franchises. Originating back in the nineties, games featuring Lara Croft are still being created to this day. To enjoy the story and characters from this franchise, just check out the Tomb Raider slot. Join Lara Croft on her adventures and spin the reels of this game to get exploring. With action-packed jackpots and dangerous bonus rounds, this slot game really is a winner. Join us as we take a look at this slot, teach you how to play it and tell you what makes it fantastic! 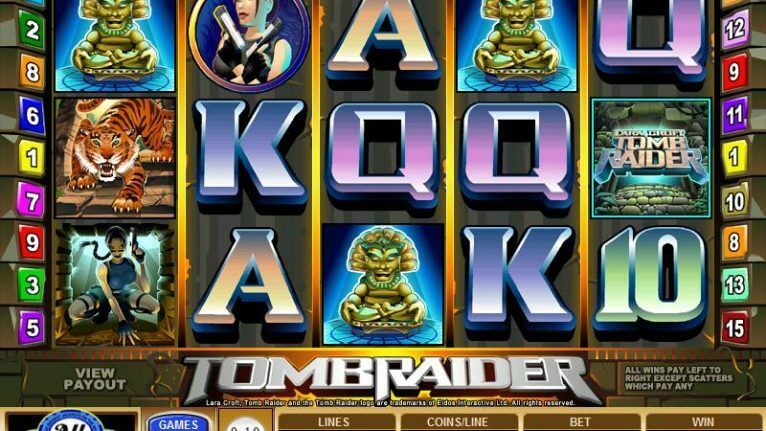 The Tomb Raider slot game comes to players from casino veterans Microgaming. They’ve been in the development game for years now and have plenty of experience. This game was one of their earlier slots, but it still stands the test of time and even picky players will be able to enjoy it. It’s very reminiscent of the early Tomb Raider games, so gamers will definitely get a sense of nostalgia when they play this slot. The design is rather traditional, with the five reel, three-row structure that we know so well. On the reels, you’ll find slot game symbols like playing card symbols. To add to this, you’ll also find a number of themed symbols that tie in with the game itself. The symbols are styled to look like the original logo for the game, which helps to tie the game in further with the source material. There’s nothing better than a branded slot that really takes a lot from the source and excels in doing so. Since most people have such fond memories of the original Tomb Raider, it’s great to see these themes coming through in the slot too. 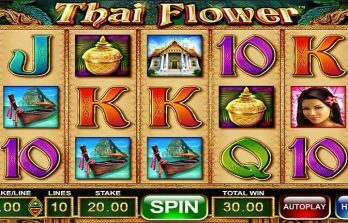 If you’re itching to get started playing this adventurous slot game then we don’t blame you! The first step is simply to decide how you want to bet using the options just under the reels. If you’ve ever played a classic Microgaming slot before then you’ll know exactly what you’re doing. If not, don’t worry as it’s all pretty self-explanatory. When you play on this game, you can pick the coin value as well as the bid per line. This gives you the ultimate flexibility that you need to make sure you’re sticking to your budget. If you want to just go all out then hit the bet max button instead to take it right up to the limit. If you like, you can go ahead and use the expert mode to use the autoplay function or press the spin button to play manually. Either way, you’ll be ready to start discovering the jackpots that this game has to offer. With hours of entertainment at your fingertips, you’ll be happy to know that this game is also mobile compatible too. When the reels stop, you’ll be looking for three of a kind or more matching symbols on one of the paylines. 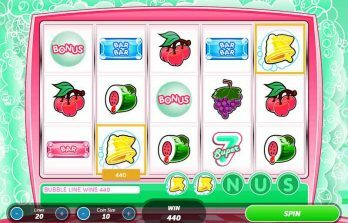 When this happens, you’ll automatically receive a multiplier that acts on your wager to make for a big jackpot! If you unlock a bonus feature then these will play right away and you can start raking in the bonuses. When the reels come to a halt, any symbols contributing to a jackpot win will be illuminated, so you can tell exactly what you’ve won. 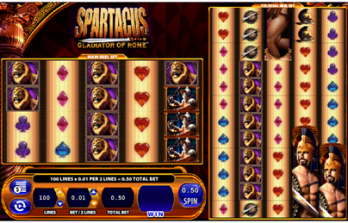 This lets you see the symbols and paylines that are contributing most to your balance as you play the slot. Now that we’ve covered the basics of the game, let’s look into the more in-depth aspects starting with the wild symbol. This is the symbol that will take the place of most others on the reels, with special properties that make it exceptionally exciting. The game symbol is the wild, so it’s an easy one to watch out for. It has the ability to take the place of all others on the reels, with the exception of the ones listed in the bonus section below. These enhance the wins that you get and also make it possible for you to win more often, which is ideal. With just two of these symbols you can start to rake in the jackpots, though the more you have the better it gets. This symbol can end up paying you out the max jackpot of the game, which sits at an impressive 7500x your bet when you match up five of them. There are actually two bonus rounds to play on with the Tomb Raider slot, one is a bonus feature and the other is a free spins feature. For the free spins bonus, you need to collect three Lara Croft scatter symbols anywhere on the reels. When this happens, you’ll get to start playing with 10 free spins. The best part is when the spins are finished anything that you’ve won will be tripled! For the second bonus feature, it’s a bit more unique, which is great for players. This slot boasts an additional bonus feature that will have you feeling like Lara Croft herself. In this mini-game, you’ll see three idols, scavenged from the tom itself. It’s up to you to pick between these idols to add extra multipliers onto your balance. The bonus feature is enhanced with a cool soundtrack and an element of mystery. You won’t know which idol will give you the biggest multiplier, so choose wisely and keep those fingers crossed! The Tomb Raider slot has to be among our favourites due to the nostalgia factor and the great bonus features. If you’re looking for a game that will take you into a new world and deliver you a lot of fun to boot, then this is the one for you. Check it out and explore those tombs!